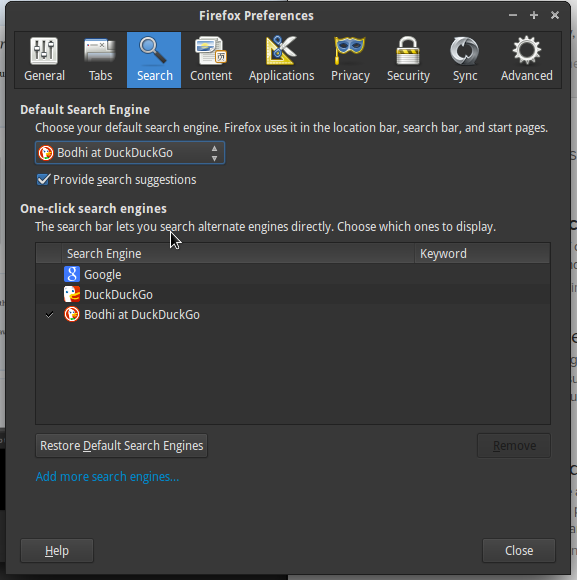 Bodhi Linux has a partnership with the wonderful folks at DuckDuckGo that helps generate some revenue that supports our project. The easiest method is to set your homepage to the Bodhi Start Page and use it for your searches. 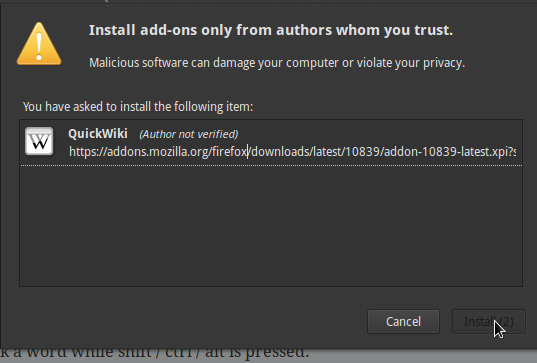 You generally right click on the search box and select the option to edit. This should work in most modern web browsers. 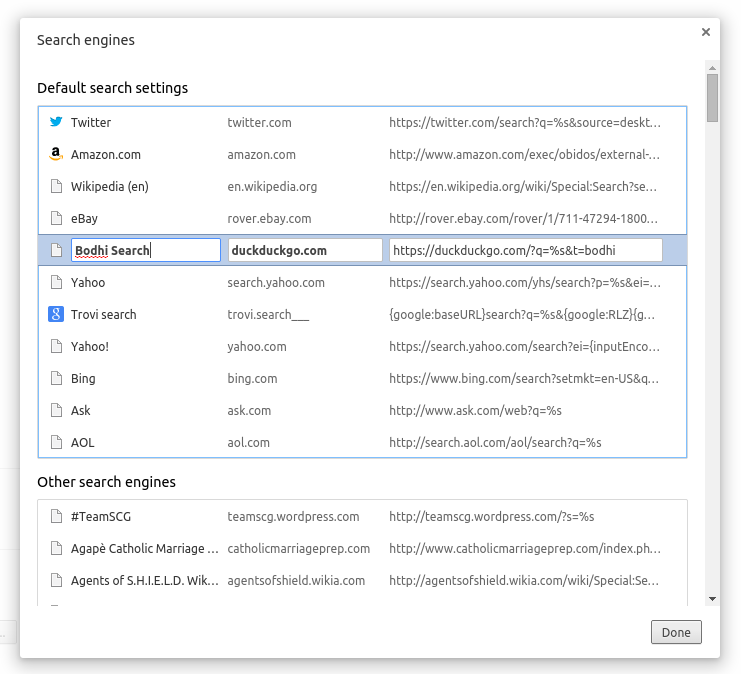 This is the default search option in Bodhi 2.4.0’s Midori Browser and will be the default as well in our 3.0.0 release. “user.default” will actually be something more randomly generated, such as “g01oet7e.default”. If the searchplugins folder does not exist, create it. 5. 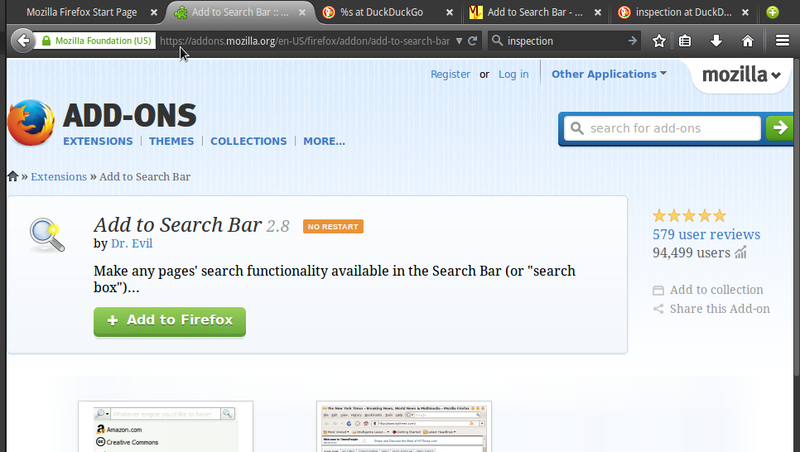 Under the Browser category, go to the Internet Search option. 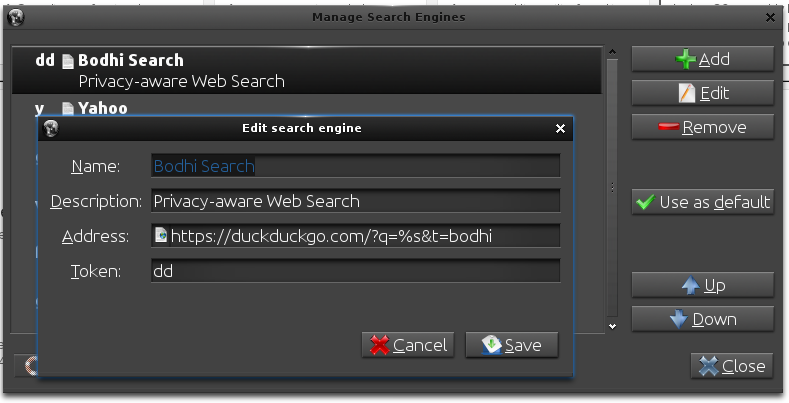 Set “Search using” to Bodhi Search.